Estuary and north coast Kent is a key regeneration area with strategic connections to London and Essex. This event will showcase the large number of developments in the pipeline that will transform this part of the county in the coming years. You will hear from developers and designers working on major projects while speakers from local authorities and other public bodies will fill in the strategic background. There will be plenty of time for discussion and networking with the key people who are shaping north Kent. 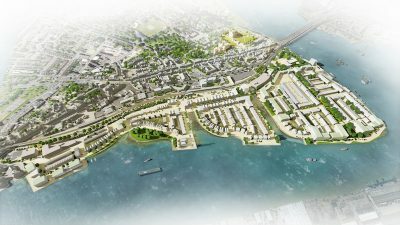 As the area transforms how can these developments work together to strengthen the identity of North Kent? How can the required infrastructure be delivered and be integrated into the landscape? How will these developments collectively contribute to quality of place? Non-members price: £95+Vat per place. Please use the booking link provided. ONLINE BOOKING HAS NOW CLOSED, THIS EVENT IS FULLY BOOKED.